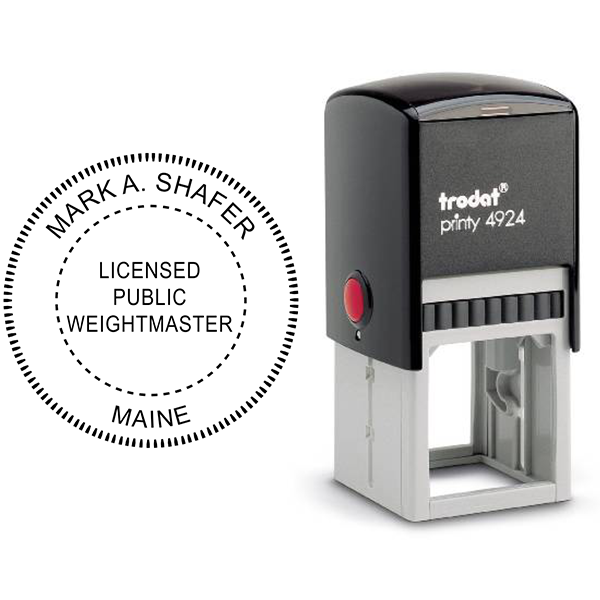 Find a simple professional seal that is perfect for work here. Features your name, license type and state. Order pocket, desk, or classic embosser styles. Trying to figure out what edge to emboss from? This is very important because the angle of your embosser is fixed. For example, if you need to emboss your letterhead at the top right corner of the paper you should select either the top or right depending on the angle you need. Embossing from the bottom is most common. Foil Seals? Our seals come on a roll of 50, 100 or 200 seals in either gold or silver. 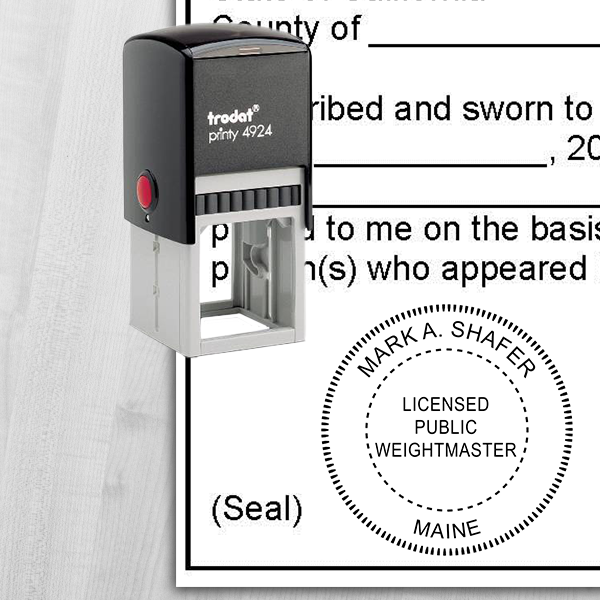 Customize your professional seal with your name and choose the size of embosser you need. 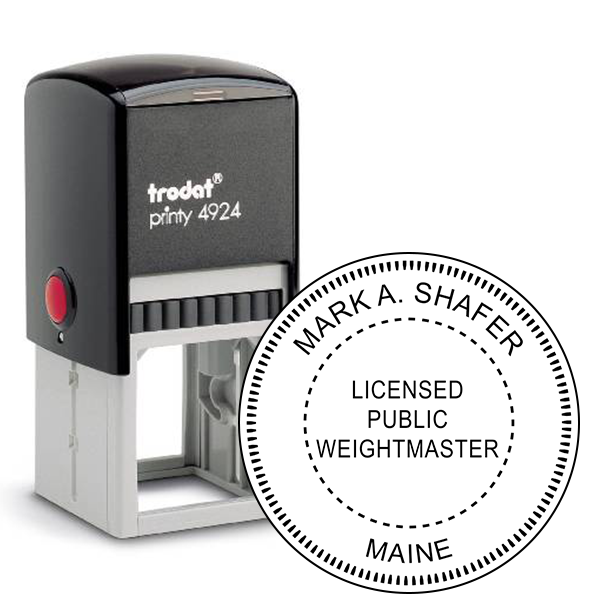 This Maine Weighmaster Seal Embosser is designed for 20lb paper or stationary. 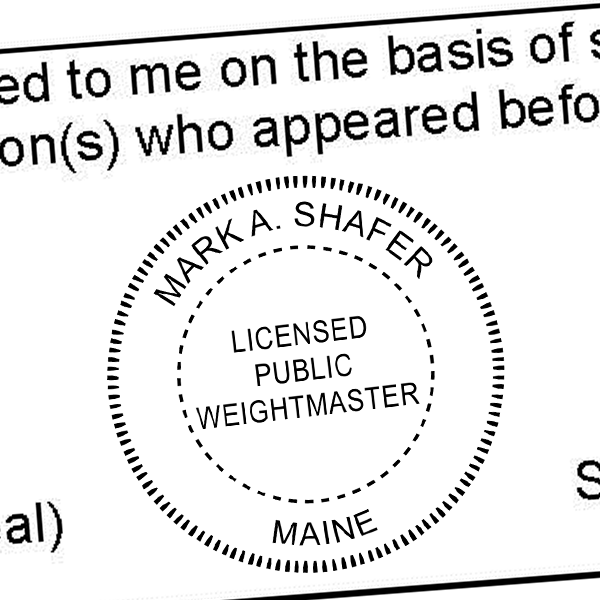 Text reads "Licensed Public Weighmaster." Our inserts are constructed with delrin instead of brass. 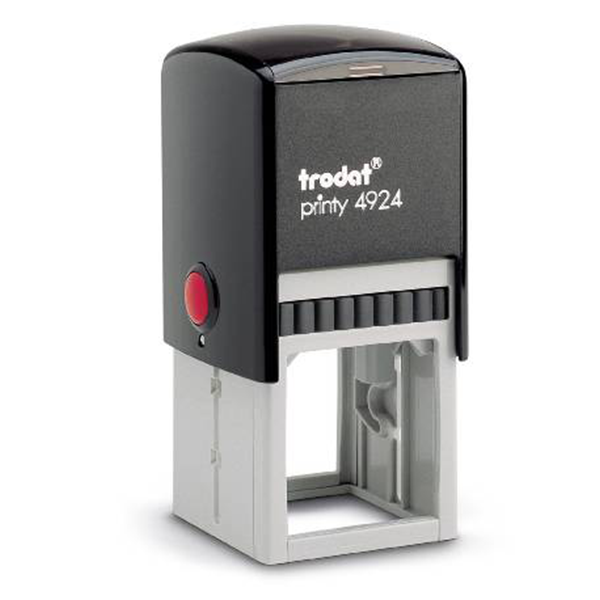 Please remember that this embosser is not made for use on heavy card stock. Embosser size starts at 1 5/8". 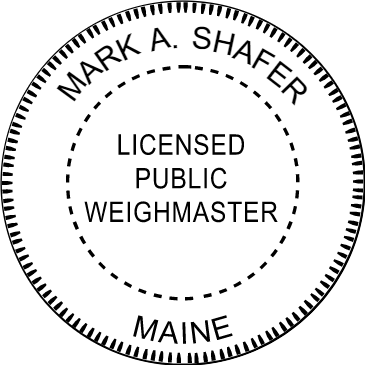 This seal is compliant with all requirements listed by the State of Maine's Revised Legislature for Weighmasters per Title 10:Part 6: Chapter 501: Subchapter 5.